Police have identified the victim in a fatal shooting outside a Queen Street East nightclub early Friday morning as a 24-year-old Brampton man. 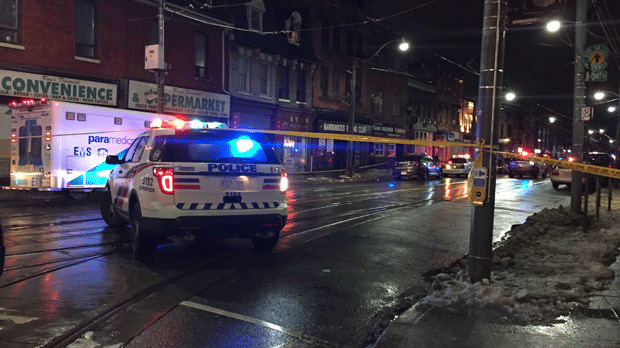 Jaunoi Christian was found suffering from multiple gunshot wounds in the doorway of the Vault nightclub on Queen Street East near Parliament Street just before 2 a.m. Despite efforts by paramedics to revive the man, he was ultimately pronounced dead on scene. In a news release issued on Saturday morning, police said that they are looking for a male who was seen running from the scene after the shooting. The male is described as black, about six-feet-tall, in his 30s with a medium build. He was last seen wearing a blue and white toque, a dark-coloured jacket and blue jeans. Police say that investigators are also interested in speaking anyone who was in the area at the time of the incident, particularly those who may have taken pictures or video. Hopkinson said that it is unclear what Christian was doing at the nightclub at the time of the shooting. 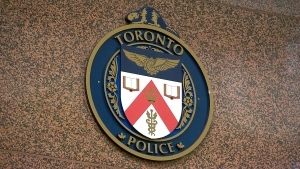 The shooting was Toronto’s sixth homicide of 2019.